If you were on the East Coast and you needed a stellar guitarist for your recording session, you could have called on McHouston (Mickey) Guitar Baker. Had you needed a vocalist, you might have rung the phone of Sylvia Vanderpool. That would be if she wasn't busy singing as 'Little Sylvia ' for the Hot Lips Page outfit for two Columbia label recordings in 1950, or several other early 1950's record labels. Evidently,they called to each other, and became a prolific singing duo through the 50's and early 60's. Sylvia even had a #3 solo record in 1973. Mickey And Sylvia started out on the Rainbow label for three releases, before signing to the RCA label subsidiary Groove. Their second single for groove produced their biggest hit, Love Is Strange. On to another RCA label called Vik, and then to the parent, RCA. A stop at King records and the King based Willow label, and you have over 25 singles, LP's and EP's, with a small gap in-between. I have attempted to feature most of the records they recorded through the early 1960's. I also am including a few of the initial releases by Sylvia while on her own, and will continue until all the early material is collected. I am not attempting to showcase Mickey's work both solo and as part of other teams, as the task seems to large. 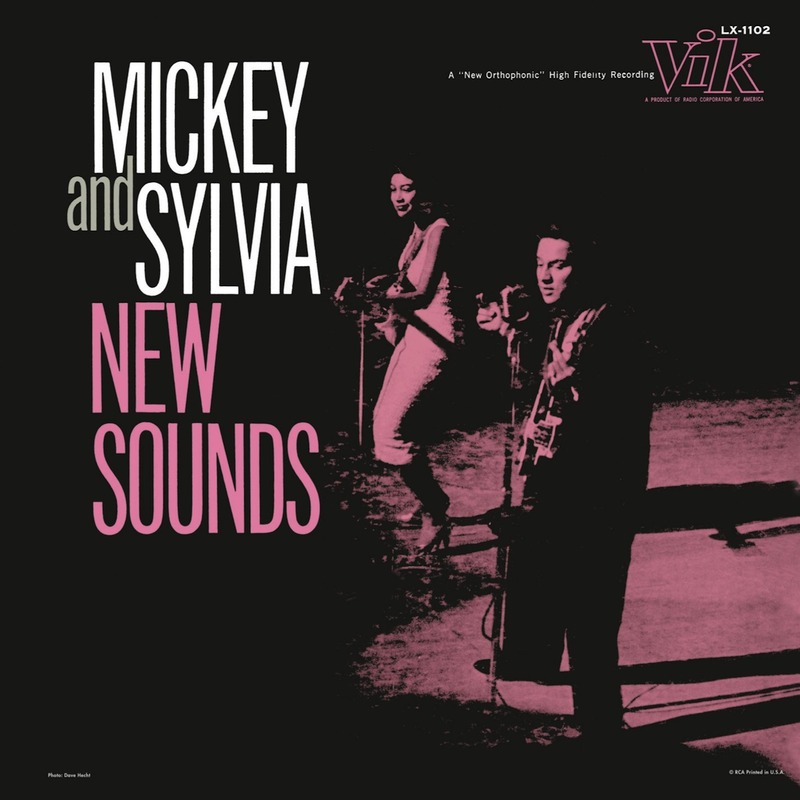 Mickey and Sylvia were a fine recording team, married in fact, for a time, and had a huge following before they broke up. Mickey moved to Paris and the duo was done.